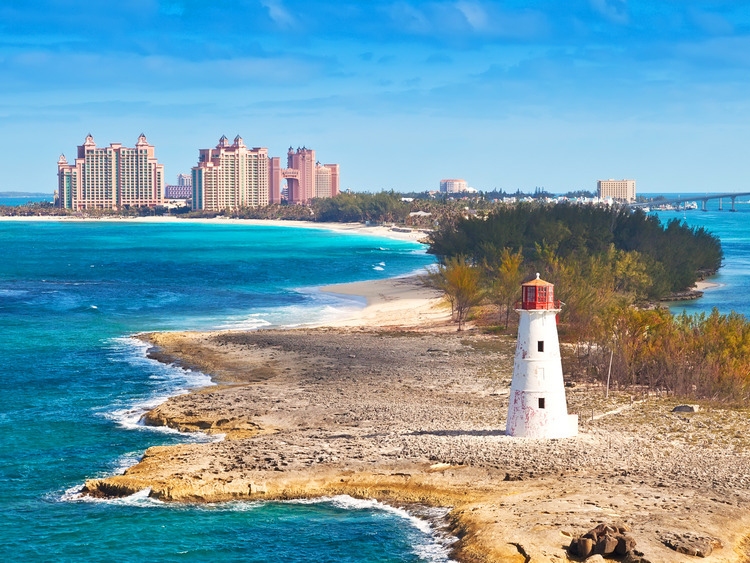 An unmissable tour to admire the beauty of Nassau, capital of the Bahamas archipelago, stopping for snorkelling and to explore the marvellous underwater world of one of the most beautiful seabeds in the world. We will hit the blue waters off Nassau by boat. During the initial 25 minutes, we will have the possibility of admiring the picturesque port of Nassau, Paradise Island and the surrounding islands. We will be provided information on the most interesting areas and we can have fun spotting, with the help of the crew, the homes of numerous famous people. Once we arrive at the diving spot, the crew members will provide us with snorkelling equipment and all the safety information. We will finally be ready to dive in and explore the marvellous treasures of these seabeds, unparalleled worldwide. Here we can*swim* and snorkel in the calmest waters ever seen, accompanied by expert operators who will guide us across the seabeds, demonstrating the most beautiful spots. During the tour, we will have the opportunity to get close to numerous fish and secure the answers to all our questions. Minimum age for snorkelling: 6 years. For safety reasons, when in the water, it is mandatory to wear a life jacket. The distance from the ship to the catamaran's mooring place is approximately a 10 minute journey on foot. Upon returning to the port, port authority representatives must check documents and your Costa Card. We cannot be held responsible for any queues, in terms of our management and organisation. ?